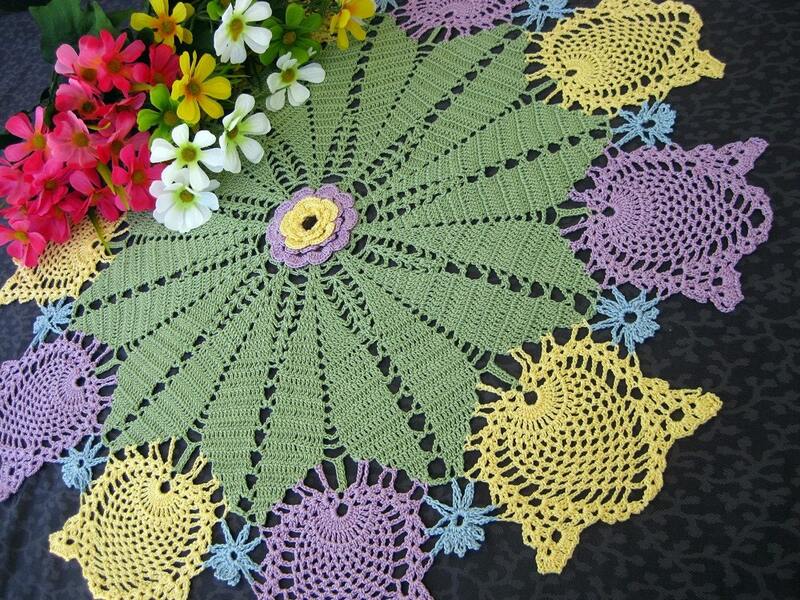 A charming handmade table topper made from purple, yellow and green cotton thread #10. This elegant tulip design will look beautiful on any table or it will make lovely gift for someone special. It is machine washable, lay flat to dry, touch up with iron and spray starch if desired. It comes lightly starched. Folksy :: Buy "Bright circles crochet cushion"
Folksy :: Buy "Fingerless Mittens"